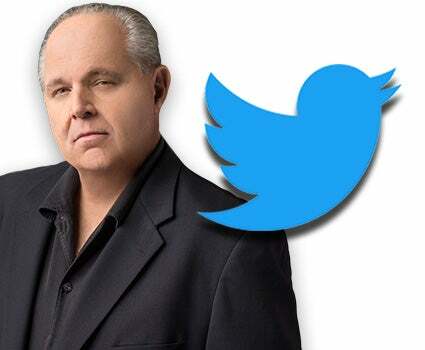 RUSH: And, ladies and gentlemen, before we hit the break, I need to announce that I have been the recipient of one of the greatest honors of my broadcast career. I cannot tell you how honored I am and proud and happy I am not being included on a list of prominent conservatives. Salon.com, in an effort to advise their readers on diversity, has published a list of conservatives primarily in print — bloggers, websites, magazines. There might be some people in there that also do commentary on TV as “Republican strategists” or what have you. I think it’s 25 people. Twenty-five conservatives Salon.com assures their audience they can safely read and not have an adverse reaction. Salon.com wants to be known as a liberal publication that promotes diversity, and they have become very sensitive to the fact that conservatism is persona non grata at any level of the Drive-By Media, and so they’re breaking new ground, and they researched conservatism carefully. And they have found 25 conservatives that it is safe to read, on Twitter, or Facebook, or on their blogs and websites. And I, ladies and gentlemen, am not on this list — and it is one of the greatest honors I have ever been bestowed to not be on an approved list of approved conservatives by a liberal publication. Every one of these approved conservatives has one thing in common: They hate Donald Trump. They despise Donald Trump. Some of them are actually, other than that, pretty good. Some of them are actually genuine conservatives. But they all hate Trump. And, as such, they have been honored by Salon.com as approved conservatives. This illustrates exactly what Beltway media elite intellectual conservatism has become: Pleasing the enemy, gaining the approval of the left, being singled out as above the fray of the rabble of conservatism. The names are people you would know: Bill Kristol. John Podhoretz. There’s some bloggers on there. I’ve decided I’m not gonna embarrass these people by mentioning their names. If you want to find out who is on the Salon.com approved list of conservatives that Salon readers can safely read without having a suicidal reaction, just go to Salon.com yourself and find out. It’s embarrassing enough to be on the list. I don’t want to add to it by mentioning their names. I just want to tell you how proud and honored I am not to be on it.